A third of cancer patients in a new study said they used herbal medicines, chiropractic massage or other alternative remedies, but many kept this secret from their doctor, The Independent reports. There is no evidence that any alternative treatments can improve cancer survival. Though some treatments might improve quality of life, herbal remedies and certain diets can negatively interact with prescribed drugs or make them less effective, experts said. Another recent study suggested that people who used CAMs were twice as likely to die from their disease, largely because they were more likely to refuse some or all recommended treatment. 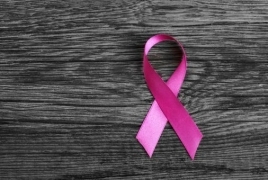 “Given the potentially serious, adverse, and wide-reaching implications of CAM use (particularly use of alternative medicines) in patients with cancer, an accurate assessment of the prevalence of CAM use is needed,” the University of Texas researchers said.